WALLED LAKE, Mich. - Surely this trip to the bank had to have been an omen for 13-year-old Alina Morse. Because ever since, she has cashed in on what’s become one of the most popular brands of candy in the entire country. When she was 7 years old, Alina visited a bank with her dad and the teller offered her a lollipop. At that point, a lightbulb went off in her head. “Why can’t we make a healthy lollipop that’s good for me so I can have candy and it won’t be bad for me?” Alina asked her dad. 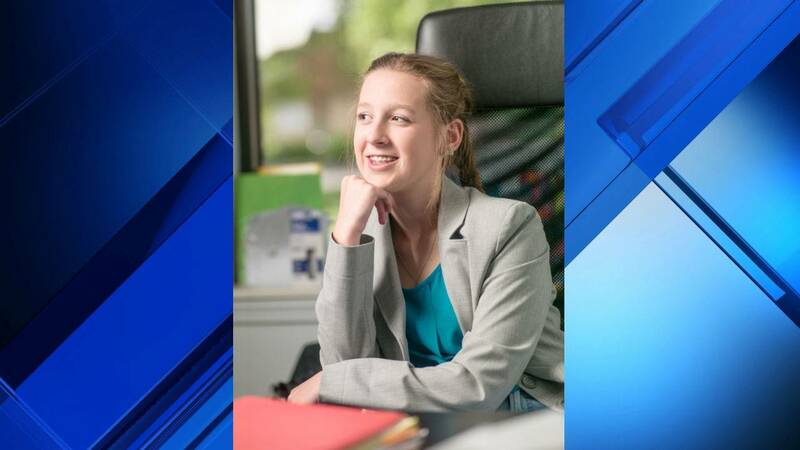 At that point, an idea was born that made Alina a fortune before she is even old enough to drive, and one that became a top seller on Amazon. 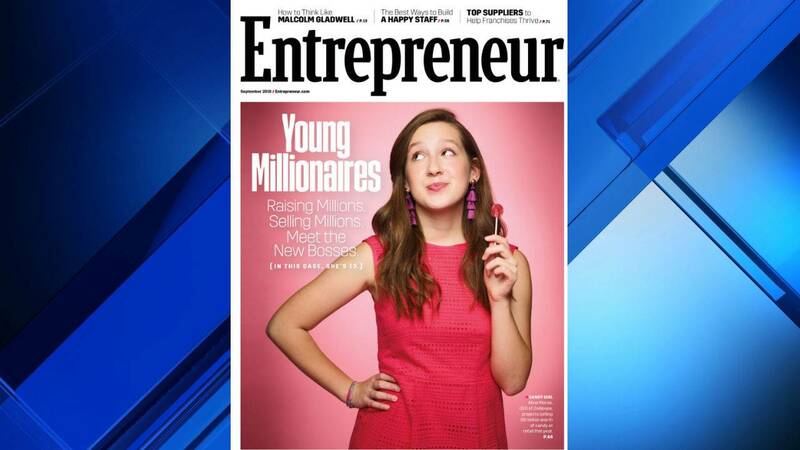 Alina is the inventor of Zollipops, a sugar-free brand of lollipops that is healthy for teeth. The product has gotten so popular that it was named the No. 1 seller on Amazon for both sugar and sugar-free lollipops last week, one week prior to Halloween. Zollipops is outselling brands such as Dum Dums, Blow Pop, YumEarth and Tootsie. 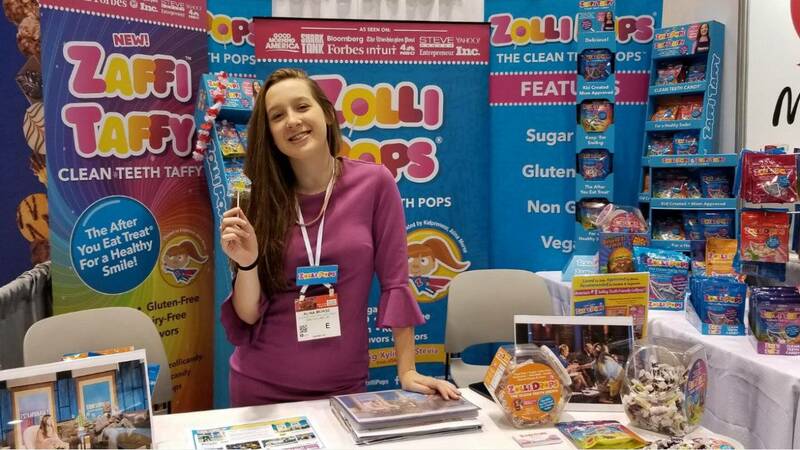 A middle school student in Walled Lake, Michigan, Alina said it took about two years of research and trials before Zollipops began to be made. Alina said she went on the internet and researched ingredients that would be healthy for people’s teeth and still taste good. She also consulted her dentist and dental hygienist on what ingredients would be good. “We ended up with our ingredient list and we took it to a manufacturing facility,” Alina said. “We ran some trials and decided that is where we were going to make our candy. After finding the right flavors and the colors and the right packaging, we came up with the product we have today." The ingredients of Zollipops are: isomalt syrup, erythritol, xylitol, citric acid, natural flavors, beetroot juice, stevia, turmeric, grape extract, annatto extract and color added. All colors are derived from natural plant-based sources. The flavors to choose from are natural peppermint, strawberry, grape, orange, cherry, raspberry and pineapple. For confidentiality reasons as a private company, Alina didn’t disclose which manufacturer produces Zollipops. Alina's line is sold at Kroger, Walmart, and the company is expected to clear $6 million in sales by Christmas. Moving forward, Alina said she will continue to grow her company by enhancing her knowledge of business. Alina might not have a high school diploma or a driver’s license yet, but being a millionaire already sure is as sweet as sugar. Or, in the case of Alina and Zollipops, no sugar. Photo contributed by Zolli Candy.